This was inspired by this article. 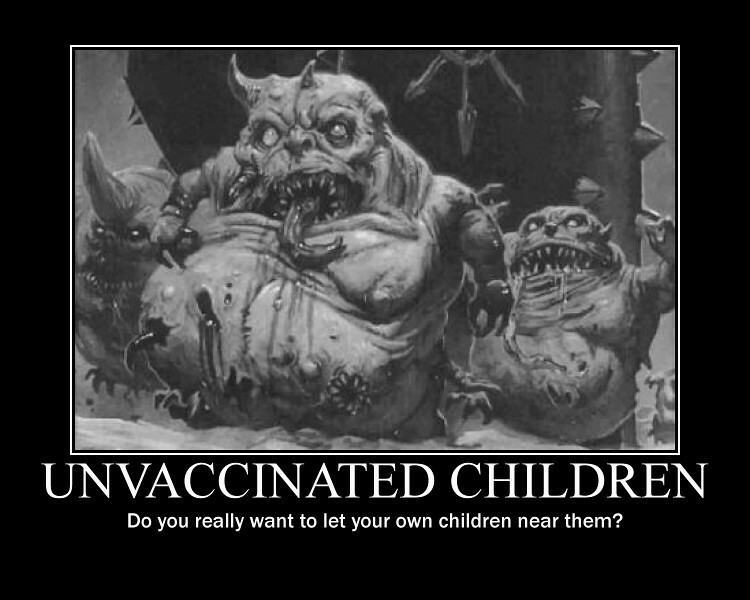 If you are in favor of vaccinating children, please pass this on. It seems my RPGNet readings of the Suppressed Transmissions have attracted attention from the Secret Masters - both Phil Reed and Steve Jackson himself comment on the posts and state that they will seriously consider publishing more if the sales of the existing volumes increase sufficiently. And on that account, there is some progress - sales of the first PDF volume have increased by 38 sales, and of the second volume have increased by thirty (and the first printed collection is now "low on stock", although I am unsure when precisely this happened). However, these sales still aren't nowhere near enough to make a difference, so spread the word - and if you have read them, comment on the RPGNet thread to keep it active (giving it good ratings with the "Rate Thread" function probably couldn't hurt, either...). "As late as 1860 chess historian Duncan Forbes announced, based on no discernible evidence whatsoever, that chess was 5,000 years old and derived from ancient Sanskrit wisdom. That's the kind of thinking we need more of in our roleplaying gameif you ask me..."
This time, we delve into the past and symbology of chess, one of the world's oldest and most popular games. Along the way, we learn of variants like "Living Chess" where the pieces are played by humans (bloody gladiatorial battles when one piece takes another are optional) and "Enochian Chess", which was invented by the founders of the Golden Dawn. Also discussed are chess as metaphor and ciphers for secret conspirational struggles, and as magically potent symbls which can shape ley lines and mana flows. This transmission is certainly fairly specialized and won't be of use for everyone, but if you are prone to using lots of symbols in your campaign you should be able to make use of it. These had the added bonus of having lots and lots of additional footnotes by Kenneth Hite, making them worthwhile even for those who had the originals. Unfortunately, they never even sold out their print runs, and the ebook versions - which were released last fall and can be bought here and here - didn't sell very well, either. This makes it unlikely that Steve Jackson Games will ever release further collections, as they can't justify the expense. Thus, I've decided to do a little promoting on my own. I have started this RPGNet thread in which I am reading through and commenting all of the columns I have - which are 300 or so in number. And so that you won't have to wade through the entire thread if you are not on RPGNet, I'm going to archive the installments here on my Journal as well, in installments of 10 each. OMG! 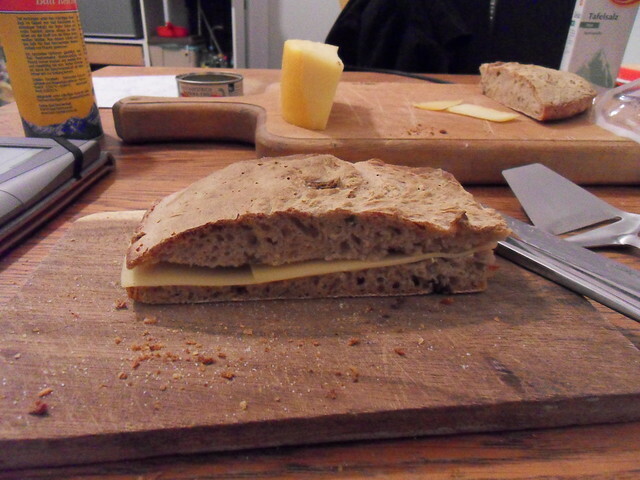 I think I have just created the perfect sandwich! This is made from a very flat sourdough bread with a nice and strong crust. The dough included chopped chilies, garlic, and olives. I will write about my recent adventures in baking later, and in more detail. For now, this teaser will have to suffice.